Colour in this picture of T-Drip with his gruesome parents! 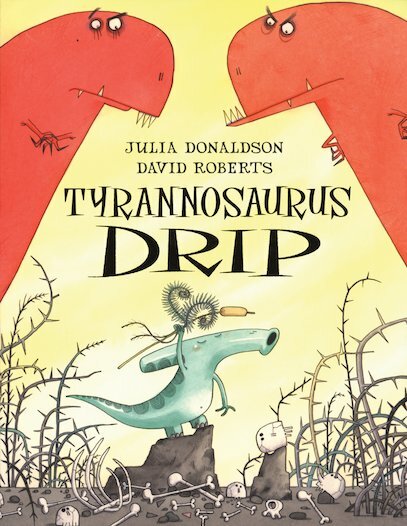 Play the Tyrannosaurus Drip Hunt-the-Egg-Game! You will need glue, card, scissors and dice.